Julie Anne San Jose will perform on August 1, 2018 her latest single Tayong Dalawa as a YouTube exclusive on Wish 107.5 Official YT Channel. The single is now available for streaming on Spotify and Apple Music. Julie Anne is one of the top OPM artists on Spotify with over 752,825 monthly streams. The modern pop ballad is part of her latest album Breakthrough which has 7 songs released under Universal Records. From wish1075 – ICYMI: The complete list of the nominees for the second Wish 107.5 Music Awards is finally here! Visit http://www.wish1075.com/wishawards and support your favorite artists! Polling period is from December 16, 12 noon, until January 16, 12 noon. 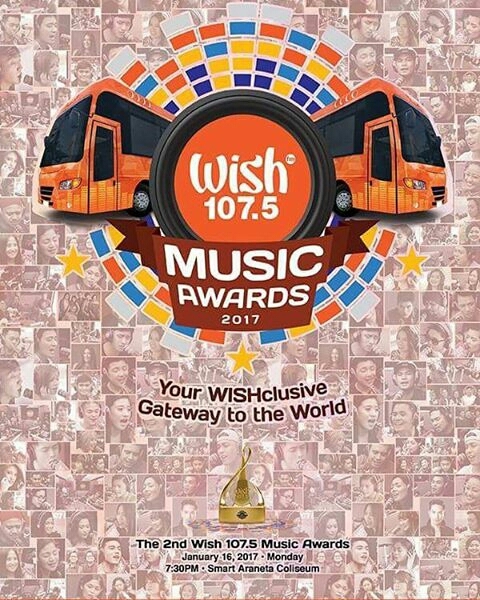 Wish 107.5 Music Awards: Your WISHclusive Gateway to the World is happening on January 16, 7:30 PM, at the SMART-Araneta Coliseum.